At Hales Parker Dentistry Ladera Ranch CA, the dental health of each of our patients is always our top priority. 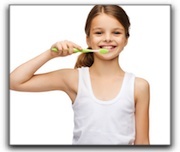 In this article, we would like to deliver some useful tips on oral hygiene. 1. Do… remember you are just wiping the plaque away before it turns to tartar. A gentle toothbrushing at the correct angle can gently clean the bacteria away. Once plaque has hardened into tartar, no amount of scrubbing at home can safely remove it. Don’t… vigorously scrub your teeth and gums until your gums recede and expose parts of your tooth you don’t want unprotected. 2. Do… remember your gums need to be cared for. Proper brushing and dedicated flossing can keep your gums healthy and strong. Don’t… hesitate to see your dental professional about sore or bleeding gums, tooth sensitivity or mouth sores. 3. Do… establish a routine for brushing and flossing that leaves sufficient time to spend a full two minutes carefully cleaning all the nooks and crannies of your mouth. 4. Do… schedule twice-yearly dental visits for cleaning and examination by a professional. Call Hales Parker Dentistry to set up your initial consultation today. We’ve got the phones ready! Cancer screenings, cavity checks, and removal of tartar from the teeth are essential for maintaining a healthy mouth. Don’t… worry if you don’t have the healthiest of mouths. Hales Parker Dentistry can help you get back on track. Whether you’re looking for cosmetic dentistry, dental implants, or sedation dentistry, we can restore what has been lost or counsel with you on the best options. 5. Do… enjoy your mouth and all the wonders it is capable of. Don’t… put off coming in for regular checkups at Hales Parker Dentistry in Ladera. Your dental health matters! Our services include general and family dentistry, and a range of cosmetic dentistry procedures. Call our office today.